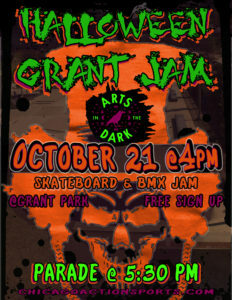 Saturday October 21st meet us at Grant Park for a skateboard and bmx jam. There will be a best trick competition and prizes for the winners. After the jam come skate with us in the Arts in the dark parade! Message us for more details.